You left us 23 years ago today. At first we thought we would "get over" our heartbreak eventually, but now we know that will never happen. 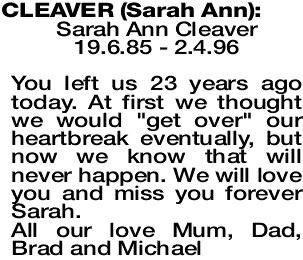 We will love you and miss you forever Sarah.